Liberal, Kans. — The deadline to enter Seward County Community College’s ninth annual poetry contest is March 31, 2019. 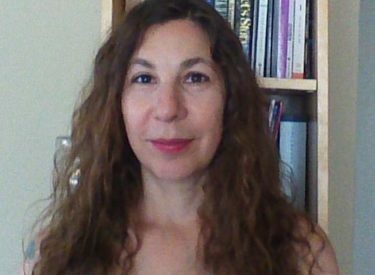 Contest judge will be award-winning poet Rebecca Aronson of Albuquerque, New Mexico. The poetry contest is open to area residents ages 18 and older and to students in grades six-12. Cash and other prizes will be awarded, and the winners will read their poems at the April 12 Poetry Coffee House and have the opportunity to meet contest judge Rebecca Aronson. The contest features three categories. The Open Category is for anyone ages 18 or older (except high school students) who lives in Seward County or a bordering county. The Scholarship Category is open to high school juniors and seniors enrolled in in a public or private school in Kansas or a state bordering Kansas. The Young Poets category is open to any student enrolled in grades six-10 in a public or private school in Kansas or a state bordering Kansas. Current and past SCCC English instructors will judge the Young Poets category, while Rebecca Aronson will judge the Open and Scholarship categories. Each contestant may submit up to three poems, and there is no entry fee. First-place winners in each category will receive a signed copy of Rebecca Aronson’s latest book, along with cash and other prizes. First- and second-place winners in the Scholarship category will each be awarded a $100 scholarship to SCCC, along with other prizes. The open category will also include a prize for best poem by a student from SCCC. The contest and Poetry Coffee House are being held in conjunction with National Poetry Month in April. Entries will be judged on originality, quality, skillful use of language and poetic devices, and freedom from errors. All entries much be submitted electronically and accompanied by a completed entry form. An entry form is available on the college’s web site: www.sccc.edu > Academics > Humanities and Social Sciences > Events. Click on Poetry contest rules and entry form. Contest judge Rebecca Aronson will also give a reading at the Poetry Coffee House set for 7 p.m. April 12, 2019, at Seward County Community College and present a noon program at the SCCC library that day. Aronson is the author of Ghost Child of the Atalanta Bloom, winner of the 2016 Orison Books poetry prize and finalist for the 2017 Arizona/New Mexico book awards, and Creature, Creature, winner of the Main-Traveled Roads Poetry Prize (2007). She has been a recipient of a Prairie Schooner Strousse Award, the Loft’s Speakeasy Poetry Prize, and a 2018 Tennessee Williams Scholarship to Sewanee. She has poems recently in Plume, South Florida Poetry Journal, Tishman Review, Sugarhouse Review, Quarterly West, and others. She is co-founder and co-host of Bad Mouth, a series of words and music in Albuquerque, where she also teaches writing. Her website is http://rebmarack.wixsite.com/rebecca. For more information, or to request an entry form and a complete list of the rules, contact Janice Northerns at 620-417-1456 or [email protected], or Terri Barnes at 620-417-1451 or [email protected].